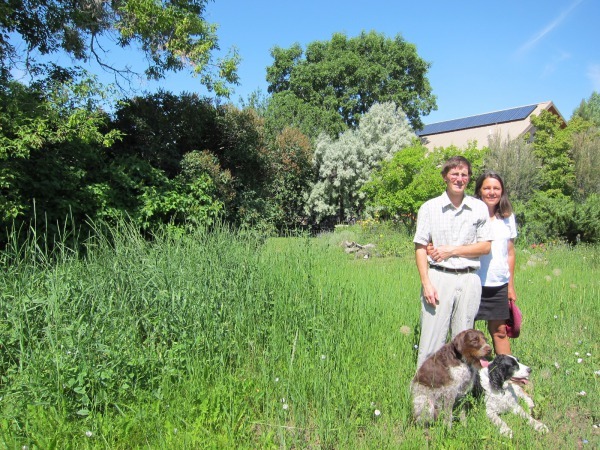 Jeff and Kathy Ball's interest in solar energy was driven by their sense of environmental responsibility. Having worked in the oil and gas industry, Jeff knew first hand that the need for a global energy shift away from fossil fuels towards clean, renewable energy is crucial. Despite some shading from nearby trees, their 5kW system produces enough energy to offset more than 100% of their annual energy load. Brand new technology! First SMA Sunny Boy TL-US Inverter installed and commissioned in the United States. Another of the Ball's priorities was to have access to backup power in the event of grid failure, however, the options of a grid-tied battery back up or an AC coupled system were out of the budget. At this time, SMA had just developed their new Sunny Boy TL-US inverter with a function called Secure Power Supply (SPS). 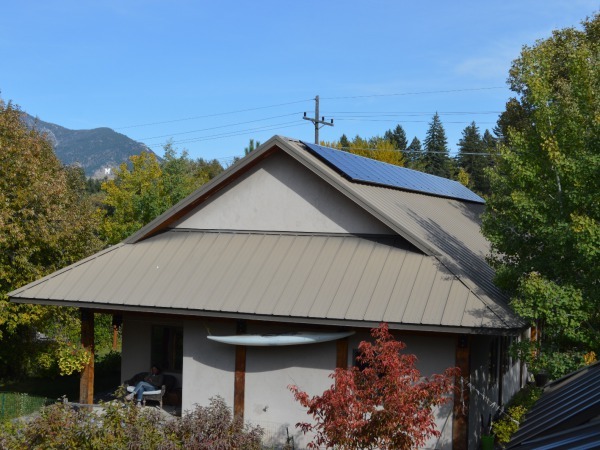 Typically in a grid failure, the inverter will turn off for safety reasons and the homeowners will not be able to use power from the solar array until the grid comes back online. SPS, on the other hand, can provide up to 1,500 watts of power to a dedicated outlet in the event of grid failure simply by turning the SPS outlet on. Through SMA's Sunny Pro Club, OnSite Energy was able to access a pre-release beta test inverter to use for this installation, and the Ball's were happy to have their installation be the "test run" for this new exciting step in solar technology. Some of the limitations of SPS are that it only works during the day with adequate sunshine, and can only provide up to 1,500 watts. In the event of grid failure, this would allow the homeowner to maintain smaller loads such as charging electronics or powering an internet router. With hopes to one day be able to power their entire load when the grid goes down, the Ball's system was designed to accommodate for adding battery back-up capabilities in the future. Unique Challenges: working with shade while protecting the trees. The Ball's residence is surrounded by trees, so the modules were mounted in one long row at the top of the roof to avoid shading. One particularly large ash tree shades the eastern portion of the roof from September through March, resulting in a 7% annual decrease in the solar access window. After consulting an arborist, the Balls realized that pruning the tree to avoid this shading would cause significant damage to the tree's health. Since healthy trees are just as important to the environment as clean energy, the Balls decided to keep the tree intact. OnSite Energy was able to work around this by taking advantage of the inverter's dual MPPT inputs, which divides the array into two different sections so that the shade only effects the eastern section. The SMA TL inverter also allows the homeowner to view the instantaneous power output of each MPPT input on the inverter's display, giving a quantifiable representation of the shading effects on the eastern array in comparison the unshaded western array. These effects were taken into consideration for sizing the system to match the yearly energy consumption of the home. Making it work despite the surrounding trees.